Halloween has to be one of my favorite holidays of all times, I know a lot of people enjoy this holiday as well. 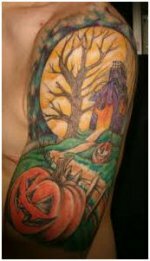 What better way to enjoy this holiday all year round then to get a tattoo done that represents Halloween? 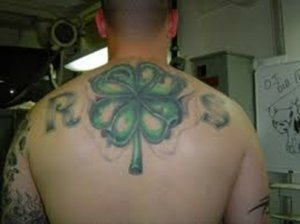 Some of us are a lot more serious then others when it comes to this holiday that is why they get tattoos of different Halloween themes on them. Halloween tattoos can be scary,cute,funny or crazy. There are really no boundaries to what you can do with your halloween tattoo. A cute black cat or a scary zombie there are thousands of possibilites for your halloween tattoo. 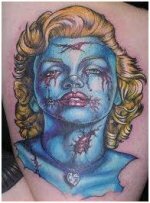 Below you will find lots of great ideas for your very own halloween tattoo. The haunted house is huge part of Halloween. Haunted houses can be creepy, scary or fun. This hunted house tattoo is definitely fun. Pumpkins are a part of fall and halloween. 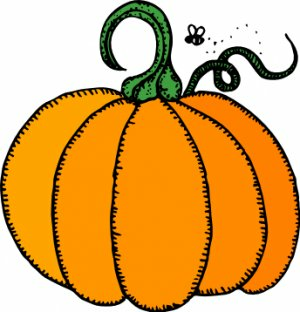 There are several ways to design your pumpkin tattoo. 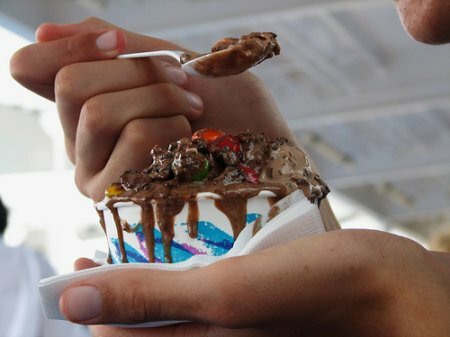 They can be fun and festive or scary and crazy. 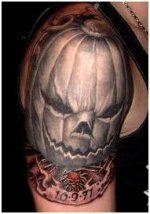 Jack-o-lanterns are another great Halloween tattoo idea. The one pictured is scary but you can make yours cute, goofy or even creepy. You can make your pumpkin look anyway you like. Everyone knows that jack-o-lanterns are a part of celebrating Halloween. 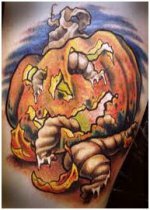 The jack-o-lantern pictured here is rotten and disgusting which makes it perfect for a halloween inspired tattoo. You can make your pumpkin look anyway you like. It can have your favorite movie character, animal or saying carved into your pumpkin. 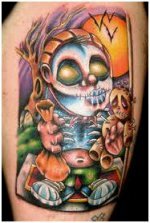 This is a tattoo of a kid in his halloween costume. The kid in this tattoo is colorful and fun. If you like darker tattoos you could get kid in a zombie or monster costume. The Nightmare Before Christmas is a classic Halloween movie. 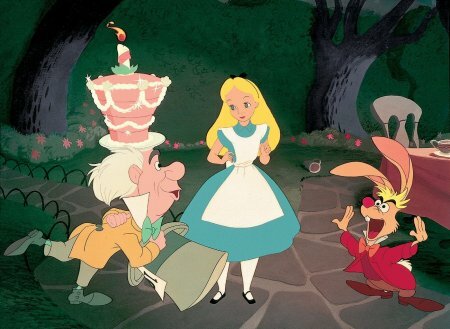 You can get a scene from the movie done for a large piece. Another great idea is to get your favorite character. A popular Nightmare before Christmas tattoo is Jack and Sally. Horror movies and Halloween go hand in hand. Some classic halloween horror movies are Halloween, Pumpkinhead, Nightmare On Elm Street and Dawn Of The Dead. 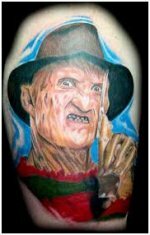 All of these movies main characters would make great halloween related tattoos. 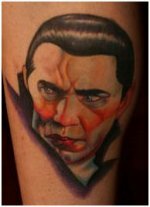 Dracula, Frankenstein, Wolfman and Mummies are all wonderful ideas for a Halloween tattoo. 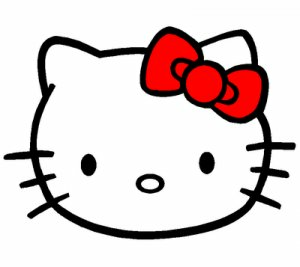 They are all classic horror movie characters and have been known to strike fear into the hearts of millions of people. If you have a twisted sense of humor and are looking for a fun and unique way to immortalize your favorite dead celebrity than a zombie tattoo is the way to go. You can turn celebrity or friend into a zombie that will spend the rest of eternity craving brains on your body. You can get just about anything you want to represent Halloween as you can see from the images posted above. If you don't like the options the artist has you can bring a picture in or draw something up that you may like and see if the artist is able to duplicate it or come close to doing so. 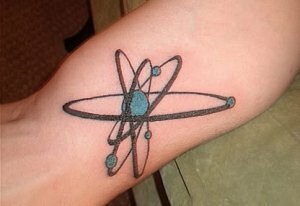 Share a link to a page on Halloween Tattoos and we will consider it for placement on this page.